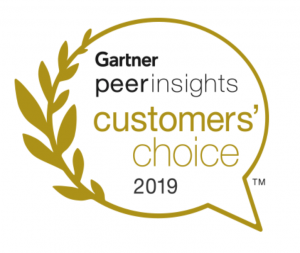 We are delighted to share that Cisco has been named a January 2019 Gartner Peer Insights Customers’ Choice for Secure Web Gateways! The Cisco Umbrella team takes great pride in this distinction, as customer feedback plays a key role in shaping our products and services. The Gartner Peer Insights Customers’ Choice is based 100 percent on customer reviews. To ensure fair evaluation, Gartner maintains rigorous criteria for recognizing vendors with a high customer satisfaction rate. For this distinction, a vendor must have a minimum of 50 published reviews with an average overall rating of 4.2 stars or higher. Cisco’s Secure Web Gateway products received a total of 140 reviews and an overall score of 4.5 out of 5 as of January 16, 2019 across Cisco Umbrella, Cisco Web Security Appliance and Cisco Cloud Web Security. Umbrella is a cloud security platform that protects users from connecting to malicious sites on the internet. With Umbrella, you can see threats before they’re coming, and block them before they become attacks. We’ve built a reputation on easy deployment and powerful protection against threats anywhere users go, inside and outside the office. We are thrilled to see our customers reviews highlighting Cisco Umbrella’s simple and effective approach to security. We would like to thank all of our customers who took the time to share their experiences on Gartner Peer Insights. The Umbrella product team is proud to be named a January 2019 Gartner Peer Insights Customers’ Choice! We are dedicated to delivering exceptional value to our customers and believe this distinction underscores our commitment to delivering the most effective protection against threats together with unwavering customer support. We look forward to continuing our efforts that earned us this distinction. If you’re ready to learn more about Umbrella and protect against threats, sign up for a free trial today. To learn more about this distinction, or to read the reviews written about our products by the IT professionals who use them, please visit the Customers’ Choice announcement.